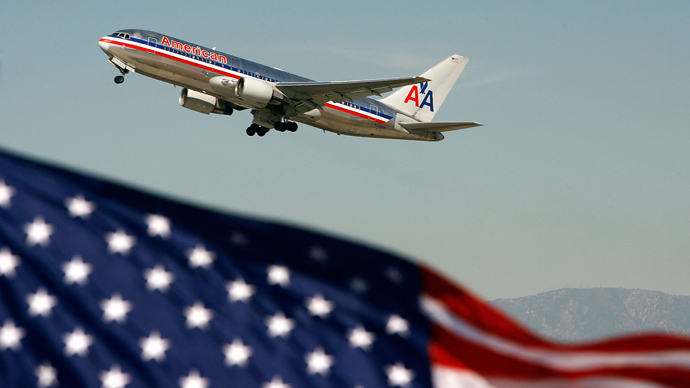 The US Department of Justice has given a green light to the merger of US Airways and American Airlines, creating the world’s largest air carrier. Experts fear the deal will mean higher prices as they have already increased 15% since the 2009 merger peak. US authorities said the two companies need to sell facilities at seven airports to complete the deal. 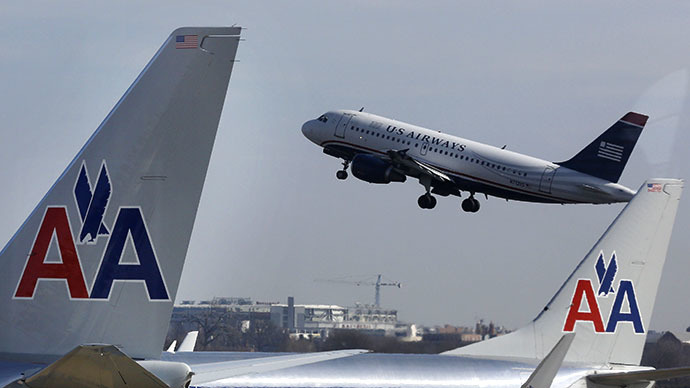 The airlines are required to sell 104 slots at Ronald Reagan Washington National Airport and 34 at New York City's La Guardia, and slightly reduce its presence at five other airports. 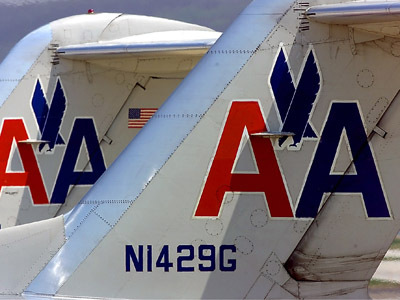 In August the Justice Department blocked the merger, saying the monopoly created will kill the incentive to improve the quality of commercial aviation in the US, as well as increase prices. When the $17 billion deal is complete, the new giant carrier will become the fourth largest American company, Fox News reports. While the deal allows low-cost airlines to increase their presence at many of the nation's largest airports, the major concern is a further price rise. 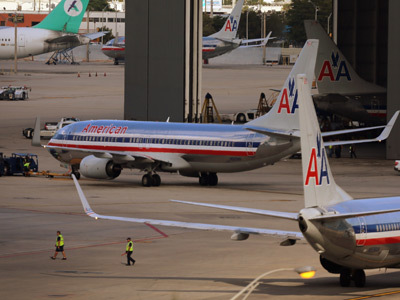 On a positive note, “this settlement ensures airline passengers will see more competition on nonstop and connecting routes throughout the country," US Attorney General Eric Holder said in a statement. The merger may also create benefits in the form of a better loyalty program and bonus options like miles, according to the companies’ website. 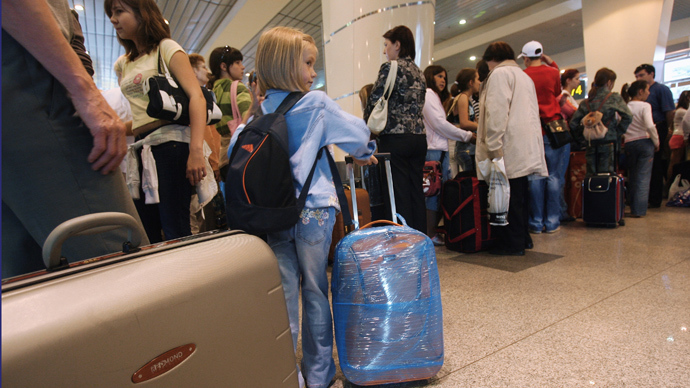 However it will better suit more frequent business travelers rather than those who just travel for vacations. US authorities have been trying to stimulate aviation mergers during the last decade, as the industry became more competitive. Few small carriers were making big enough profits, with a merger or bankruptcy reorganization being the only viable options for them to keep afloat. The headquarters of the new joint company will be in Dallas-Fort Worth and it will also maintain a significant corporate and operational presence at Phoenix. The merger in expected to be concluded by the end of 2013.